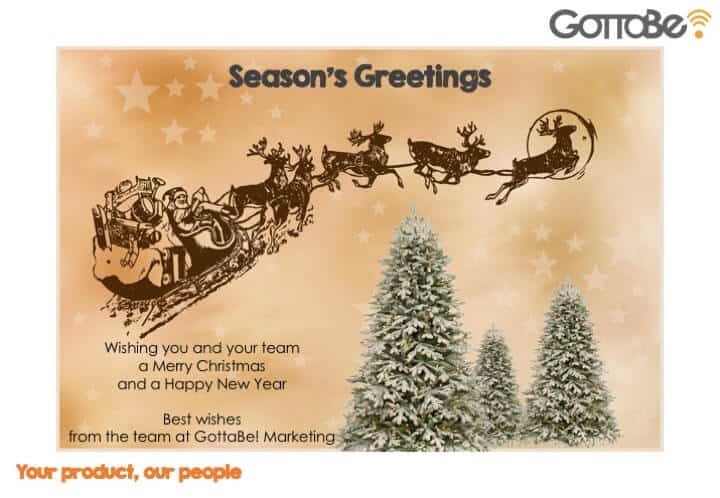 We are drawing towards the end of 2017 and as we prepare for the arrival of Christmas and the New Year, we would like to take the time to notify our Clients, Partners, Suppliers and Staff about the revised opening hours at GottaBe! HQ. Alongside this, the team would like to take this opportunity to wish you a very Merry Christmas and a prosperous and healthy New Year. We’re looking forward to work with you again in 2018.